How to add page numbers to PDF document? I want to add numbers to the pages, so I can easily know which page I am reading, and next time, I can get into the page without scrolling down the pages one by one. Actually, many users need to insert page numbers for their PDF files, not just for reading, but some for printing or other reading. No matter why you want to find a solution for adding page numbers, here we prepare some feasible tools to help you do that. This free tool gathers many mostly-used features on its website, including converting PDF, merging PDF, splitting PDF, adding PDF pages numbers, inserting watermarks, etc. This online program can process at most 40 MB file one time. And the documents generated won’t contain any iLovePDF’s watermark. What’s more, most of its function webpages support preview, which helps users better know what content they are managing or what effect they will get. Now let’s follow the guide below and add page numbers to PDF online. Go to the website for page numbering and upload the file. 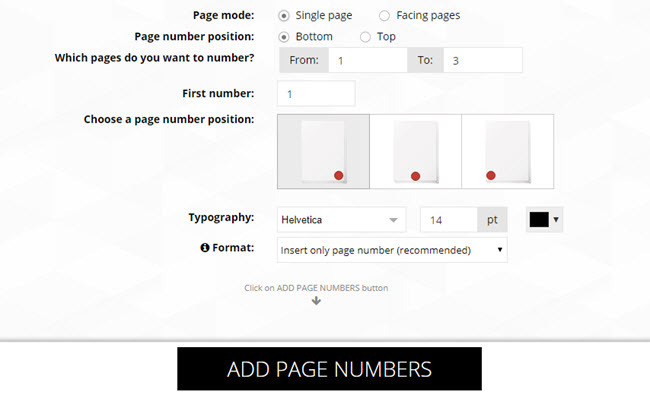 You can set the position of page number, which pages to add, first number, and more. Also, you can choose page mode according to your output effect. Once you finish setting, you can click “ADD PAGE NUMBERS”. It will jump to another webpage and will pop up a window asking you to save the document automatically. 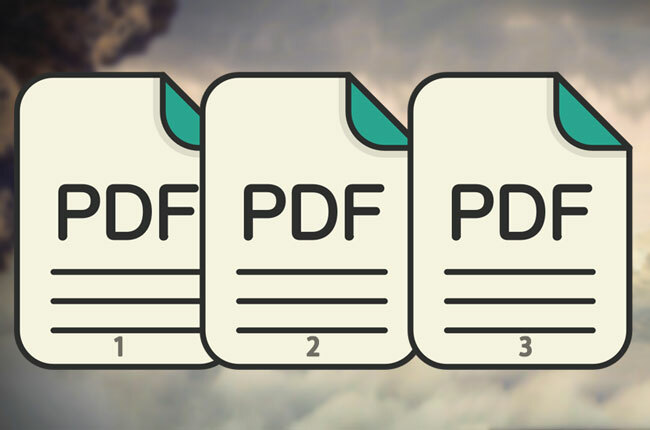 PDF.io is another awesome tool we want to recommend. It has a clean and light interface, where you can easily find the function you need. Even though you cannot find the function quickly, you can use its search tool to navigate to that feature. This web-based program is able to add PDF page number and offers other basic PDF functions like converting, splitting, rotating, and merging. Here’s how to place a page number with this program. Visit its “Add Page Numbers” site and choose a method to input your PDF (you can drop a file from desktop or click the “CHOOSE FILE” button. Moreover, you can upload a document via cloud service or URL). Once uploaded, a thumbnail of your file will be shown along with 6 circles where you can place the page numbers. Choose one and then, if you wish, you can also choose the number format and where you want the number to start. Once done, click “Apply”. After that, download the document. These are the easiest ways to add page numbers to PDF online. However, for some people, they may also need a tool for Bates Numbering. Here, we will introduce what it is and what it can do for you. Bates numbering is similar to an ordinary page number. The only difference is that bates numbering is used in legal, medical, and business documents. 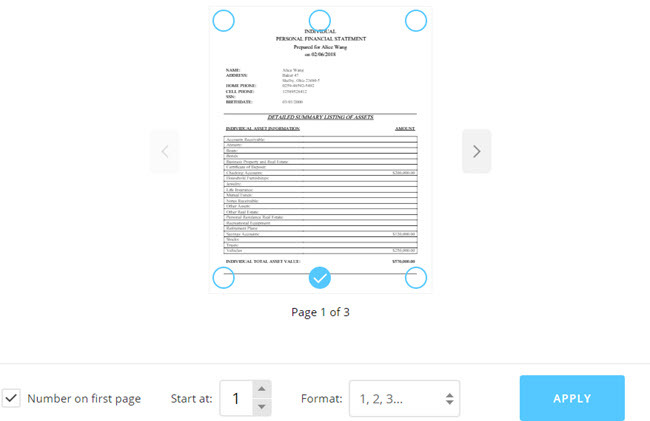 By utilizing this numbering system, users can uniquely identify each page contained in a set of documents. In case you want to apply bates numbering to your PDF document, you can click the button below to download a professional PDF desktop software to add page numbers to PDF as well as bates numbering.